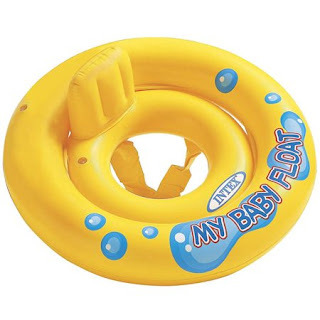 Walmart has the Intex Recreation 27" Baby Float on sale for $7.49 (regularly $17.99). Take little ones swimming in the pool with you using the Intex Recreation My Baby Float, 27". It has a large outer ring that helps provide stability and a head rest for added support. The soft leg holes on make it a comfortable experience.